Hide Login is the direct ancestor of the Stealth Login WordPress plugin. Mohammad Hossein Aghanabi (parswp) tries to give it new life after Stealth Login was removed from WordPress repository as updated last time too long ago. In respect to author of original plugin Mohammad left the comment at the begin of hide-login.php file: “This is a new version of Stealth Login plugin by skullbit”. Features list is the same. Short description is available here – Stealth Login WordPress Plugin Review. I tested new 2.1 version of Stealth Login, Ups!, excuse me, Hide Login plugin under WordPress 3.4.2. It was a pretty fresh WordPress installation. 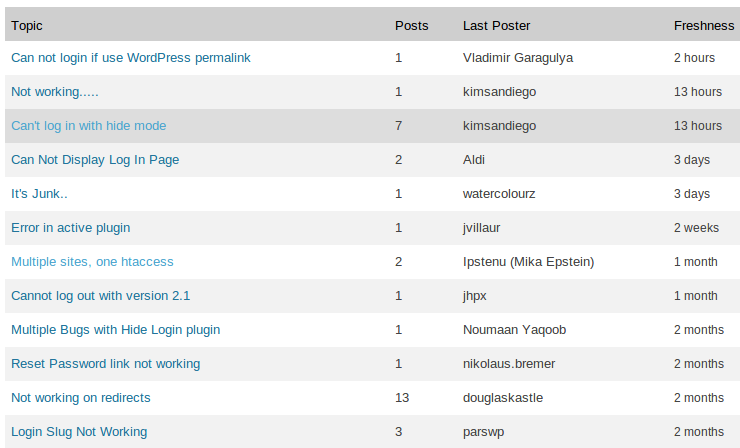 And I can say that Hide Login WordPress plugin worked well for me, but not too long. I discovered that ‘logout’ slug doesn’t lead to the real logout, just redirects to the home page, while you are still left logged in. And this bug was there in original Stealth Login plugin version 1.3 too. Why it was not fixed in the new version? Then I turned on WordPress permalink usage. I selected ‘post name’ option. And what did I discover after I used direct logout link? I discovered that I could not login to my test blog anymore! Conclusion: Version 2.1 of Hide Login WordPress plugin works just with empty .htaccess, as it is by default. If you change that and WordPress adds to .htaccess file some of its own rools, Hide Login WordPress plugin totally blocks your login. I do not recommend you to user Hide Login version 2.1 at the live environment as you can meet the serious troubles in a moment. You need to make only one step for that – just turn on WordPress permalink structure usage feature. Messages about critical bugs were not answered about 2 months and more. Developer could stop working on this plugin, probably. That’s a pitty, as such additional security layer could be useful for some WordPress blog owners. 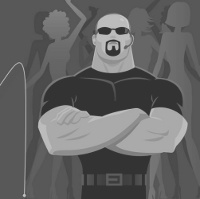 This entry was posted on Saturday, October 20th, 2012 at 07:18	and is filed under Security, WordPress. You can follow any responses to this entry through the RSS 2.0 feed. You can skip to the end and leave a response. Pinging is currently not allowed.